Less than a week before Dan Roschke started his call as pastor of Bethlehem Lutheran in Fairfax, Va., the church was vandalized in a June 26 hate crime. He arrived to find racial slurs, vulgar words, swastikas and “You’re all going to hell” painted on the sanctuary walls; glass candleholders smashed; altar paraments shredded; windows broken; the sound system cut; and every pew cushion slashed from end to end. Roschke also found a congregation in shock and members in tears. The church, which is used by Alcoholics Anonymous and other community groups, as well as Korean and Vietnamese congregations, had been broken into seven times since May but nothing to this extent. In one incident, a young male member who was at church at the time of the break-in was hit over the head with a fire extinguisher. Kristin Haynes, Bethlehem council president, said the congregation was shaken, especially since they were dealing with other things, such as having interim pastors and calling a pastor. “It’s really sad in this time and age that we’re dealing with this. There’s still a lot of hate out there,” she said. 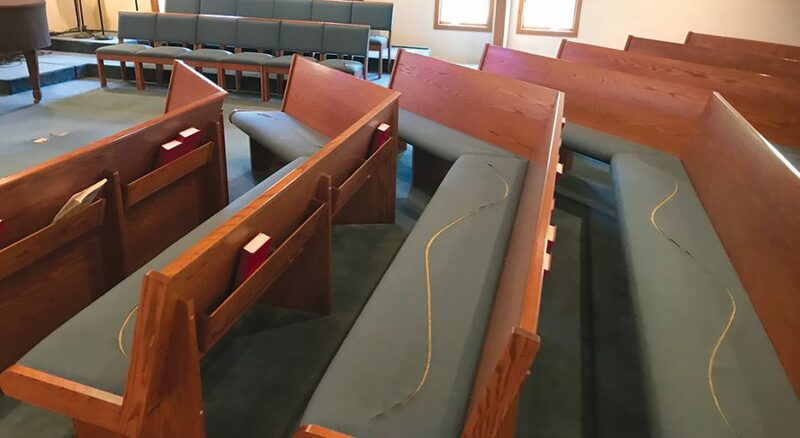 While the congregation quickly cleaned up the mess and painted the walls, fixing the pew cushions is a larger issue. Replacement is estimated at $25,000, Roschke said. Even with the cushion company donating the cost of the church’s deductible, reupholstering is labor-intensive and will take time. 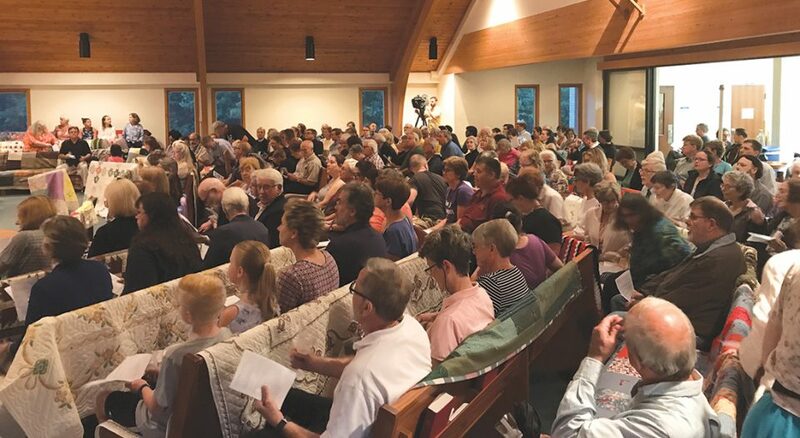 Roschke said some members expressed concern that sitting on slashed cushions reminded them of the hatred, so the congregation collected quilts to cover the cushions until they could be repaired. Roschke referenced a tattered quilt received from a church in Dearborn, Mich., that was particularly poignant. “The tattered quilt came with a note about how we’re all imperfect and only God is perfect—a powerful image,” he said. Vandalism isn’t new in this area of town and has gotten a lot of media attention. Last year Bethlehem’s next-door neighbor, the Jewish Community Center of Northern Virginia (JCC), was splattered with swastikas and slurs. A nearby Congregational church was also damaged. “The JCC came running to help us right away,” Roschke said. If there’s any bright spot, he added, it’s in such community response. “I’m getting to know community people that it would’ve taken a year to get to know,” he said. In the past few months, the community has held a vigil, discussed racism, formed new partnerships and re-evaluated security measures. The Bethlehem council installed a security system with 14 interior cameras and door alarms. “Everyone is welcome in this place, but hatred, violence and bigotry aren’t,” Roschke said. Meanwhile, Bethlehem is moving forward. People are starting to return to worship, where about 80 usually attend on a Sunday. “Some of our families who had young children had a hard time coming to church; they couldn’t explain this to their kids,” Roschke said.